Pyramid Lake covers 125,000 acres, making it one of the largest natural lakes in the state of Nevada. Pyramid Lake is also the biggest remnant of ancient Lake Lahontan, the colossal inland sea that once covered most of Nevada. The scenery is spectacular, and the color of Pyramid Lake changes from shades of blue or gray, depending on the skies above. Pyramid Lake is also surrounded by unusual rock formations, including the Stone Mother. Pyramid Lake’s significant role in the history of the Paiute Indian tribe also adds to its mystique and many myths and tales surrounding it. Visitors can get a sense of the Pyramid Lake’s importance to the tribe with a trip to the Pyramid Lake Paiute Tribe Museum and Visitors Center.The multi-purpose museum features several exhibits and displays about the tribe’s culture and history, the natural history of Pyramid Lake and why the Paiute people hold it in such esteem. Other exhibits are dedicated to the many creatures that make Pyramid Lake their home, including the ancient Cui-ui fish and the world-famous Lahontan cutthroat trout. 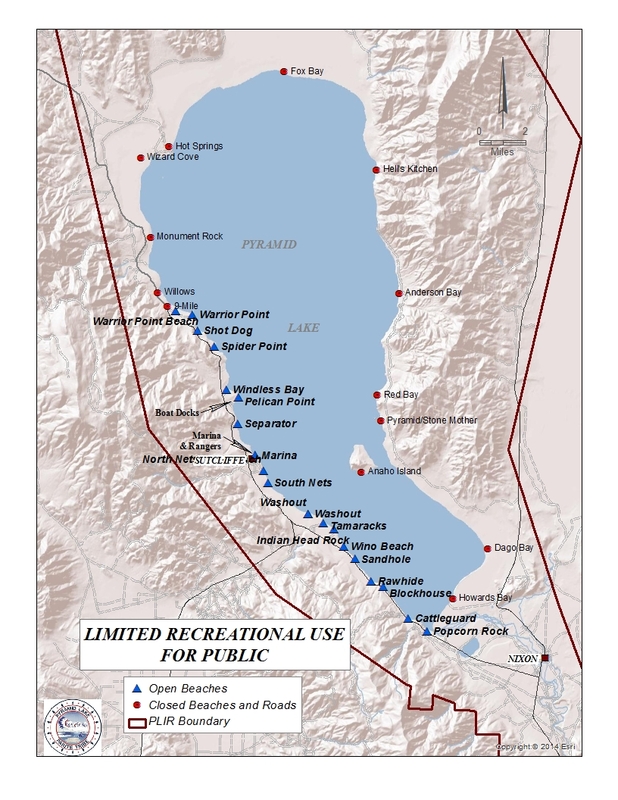 In addition to excellent fishing at Pyramid Lake, other outdoor activities include kayaking, stand up paddleboarding, mountain biking, and hiking. Widely acclaimed as North America’s most beautiful desert lake, it’s actually the world class fishery that has brought Pyramid Lake worldwide fame. Pyramid Lake is the only habitat in the world for the Cui-ui fish that has been around for over 2 million years. 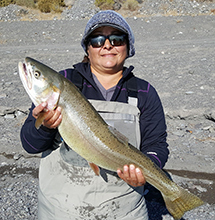 The Pyramid Lake fishery includes the famous Lohanton Cutthroat Trout that have grown to record sizes and have lured fisherman from around the world over for several decades. Celebrities, foreign royalty, and even a US President have fished the lake in hopes of catching trophy fish at Pyramid Lake. CLICK HERE for 2018 permit costs. Anyone having an event without Council’s approval will be cited. For more information, please contact the Tribal Secretary at (775) 574-1000. CLICK HERE for and agenda scheduling request. 2019 FISHING SEASON IS OPEN!